Namaste, and welcome to the Taj Homestay. Situated on a quiet, peaceful residential lane in Agra, we invite you to experience our unique expressions of traditional Indian culture and hospitality. While offering a full range of amenities and services found in top hotels, the scale of our accommodations allows us to cater to your individual needs and wishes. Situated in the heart of Agra, just steps from the main bus stop, five minutes from Agra Cantt Railway Station, two kilometers from Agra Airport and 4 kilometers from the Taj Mahal, Taj Homestay offers the ideal combination of convenience and comfort during your stay in Agra. The perfect place to relax after a day of sightseeing or business meetings. Room Service, Parking, Laundry Facilities, Security Guard, Airport Transportation, Breakfast Services, Currency Exchange, Travel Counter, Doctor on Call, Backup Generator. Wakeup Calls, Toothbrush/Razor on Request, DVD Player, Air Conditioning Room, Attached Bathroom, H/C Water, Iron/Ironing Board, Cable/Satellite TV, House Keeping. 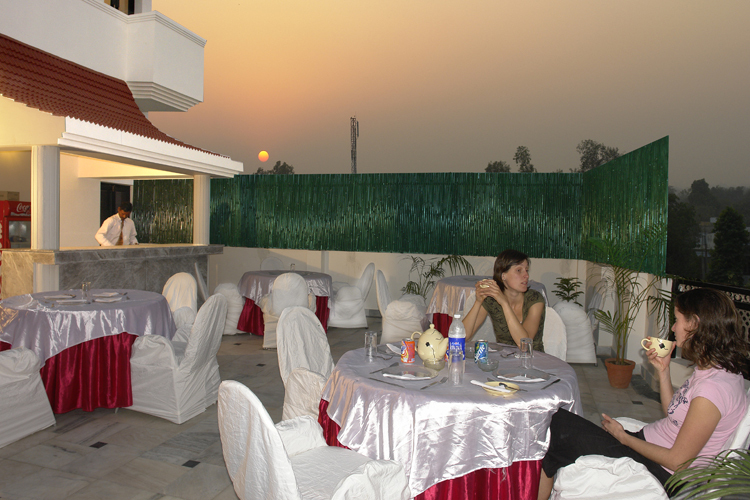 User reviews for "Taj Home Stay Agra"